How long can I Expect My Porcelain Veneers to Last? Your smile is a powerful tool that can help you reach your goals. You’ve decided to make the investment in your smile, your confidence, and your future with porcelain veneers in Randolph. And now you are wondering how long your veneers may last, and how to protect your investment. To understand how veneers work, you must first understand what they are. Dental veneers are micro-thin layers of porcelain that are customized to fit over your teeth. They are bonded directly to your teeth so they help to add strength as well as esthetics, and they are capable of changing the shape and shade of your teeth, which allows you to redesign your smile. Veneers are durable, but just like most dental restorations they are not a permanent solution. Depending on how well you take care of them, they have the potential to last for 10 to 15 years. When you decide to repair or enhance your smile with porcelain veneers, it’s an exciting time! Within just two visits with your cosmetic dentist in Randolph you’ll be enjoying the smile of your dreams. Consistent home care: You’ll be able to brush and floss your teeth normally even with veneers in place, and you should. Brushing at least twice per day and flossing at least once is the best way to keep your veneers clean and healthy. Adding an antibacterial mouth rinse to your home care routine can also help protect your teeth from the bacteria that causes tooth decay. Wear the right gear: If you play a sport, it’s important to wear a mouth guard to protect your teeth and mouth from injury. A custom mouth guard is a better alternative to a one-size-fits all model from the sporting goods store because it may be ill fitting. Protect against bruxism: If you clench or grind your teeth at night, it may cause chips, fractures or other damage to your veneers. Wearing a night guard while you sleep protects your teeth from the damage that bruxism causes. Avoid using your teeth for tasks other than chewing: Opening bottles, loosening knots, or pulling things apart are all activities that your teeth are not designed for. Using your teeth for anything other than chewing can put a strain on your veneers and potentially cause damage. Consistent checkups with your dentist every six months are also important for keeping your veneers healthy. Contact your dentist today if it’s time to schedule your next appointment, or if you have more questions about porcelain veneers. Dr. Glen Goldstein has been caring for patients in Randolph, NJ for nearly 30 years. 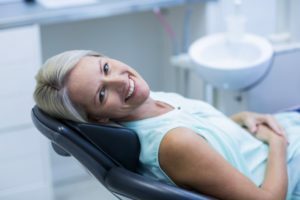 With an established reputation for excellence, patients can rest assured they will receive comprehensive dental care and enjoy an exceptional experience every time they visit. If you would like to contact Dr. Goldstein, he can be reached by calling 973-895-7995 or through his website. Comments Off on How long can I Expect My Porcelain Veneers to Last?